Offa Descendants Union (ODU) has declared support for the ongoing investigation of the Nigeria Police Force (NPF) on recent robbery attack in the Offa Community. The Union disclosed this in a statement signed by its National President, Alhaji Najeemdeen Usman Yasin. The Executive Committee and all good members of the Offa Descendants Union (ODU) both at home and in the diaspora, under the leadership of the Union National President - Alh. Najeemdeen Usman Yasin - hereby dissociate and sever the Union from any organized and arranged protest against the continuation of the Police investigation into the 5th April 2018 dastard armed robbery act that claimed over 30 lives in our community. 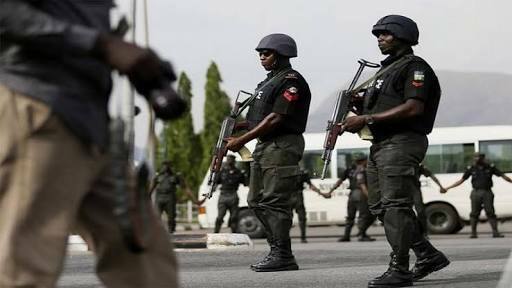 As a civilized community, we know that the Nigeria Police Force (NPF) has a lawful duty to investigate criminal matters without fear or favour and we implore the authority of the Nigeria Police Force (NPF) to discreetly carry on the investigation. While we calm all the union members on this matter, we strongly warn that the Union is apolitical and should therefore not be dragged into the dirty water of politics either by powers within or without. Finally, the union commends the Inspector General of Police (IGP) for the ongoing investigation and awaits justice for the lives that were gruesomely wasted.